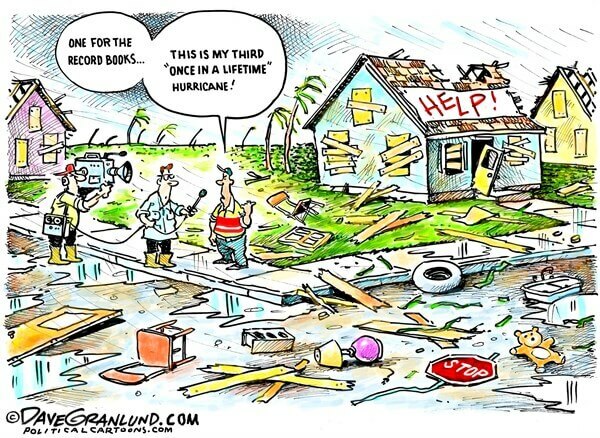 From cartoonists to professors, liberals everywhere are rejoicing over Hurricane Michael. “Victims of Hurricane Michael voted for climate deniers,” reads the headline an article by Abraham, published in The Guardian Thursday. “Elections have consequences. Denying science has consequences. And we are reaping what we sow,” the subhead reads. Hurricane Michael slammed into the Florida Panhandle Thursday at just below Category 5 strength. The storm rapidly intensified as it approached the Florida coast, sparking evacuations and emergency declarations. Michael is one of the strongest hurricanes to make U.S. landfall, according to experts. Despite the lack of science to support for his case, Abraham blames Michael’s intensity on man-made global warming, leading to his subsequent claim that southern voters brought this upon themselves by voting Republicans into office. “It is a wonder that a state like Florida, which will get pummeled by Michael, could vote for someone that denies climate change,” Abraham wrote, pointing to Florida GOP politicians like Gov. Rick Scott and Sen. Marco Rubio. Hurricane Michael hadn’t even run its course before some scientists and pundits suggested to no longer refer to cyclones as natural disasters because of man-made global warming. “I prefer ‘unnatural disaster’ when talking about impacts that have been exacerbated by climate change,” Penn State University climate scientist Michael Mann told CNN’s John Sutter, who posed the question over Twitter on Wednesday. 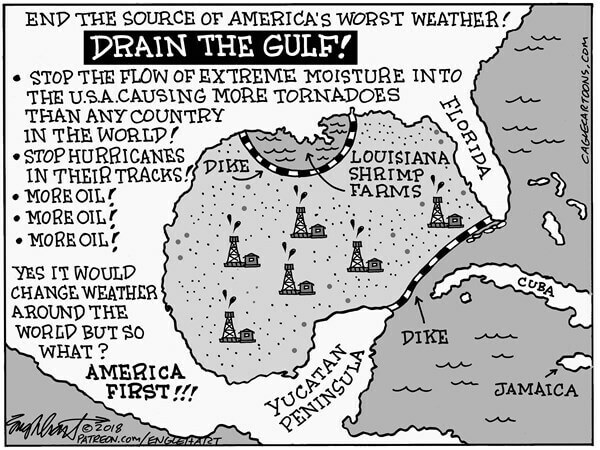 “I call them ‘what used to be entirely natural disasters’ … and if I have another 5s, I add: ‘now amplified or exacerbated by human-induced change,’” echoed Texas Tech University climate scientist Katharine Hayhoe. “The important thing, experts said, is that we humans accept some blame,” Sutter concluded in an article published by CNN on Thursday. Sutter put Michael’s arrival in the context of a United Nations report released Sunday that warned of catastrophic warming if nothing is done in the next decade or so to cut greenhouse gas emissions. Scientists, activists and journalists, Sutter included, blared the U.N. Intergovernmental Panel on Climate Change’s (IPCC) warning of a planetary disaster unless fossil fuels are immediately replaced with green energy. 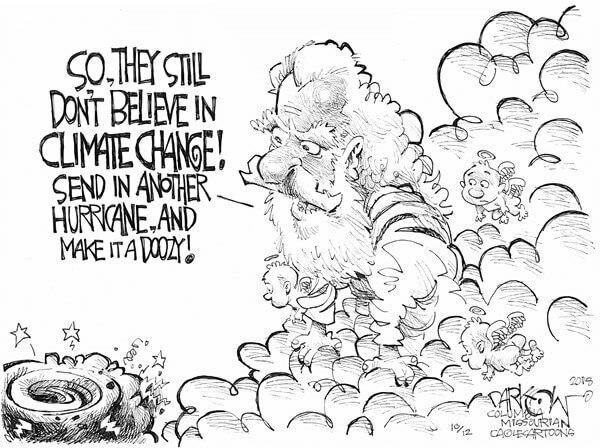 However, claims that hurricanes are no longer “natural” disasters do not line up with the IPCC’s latest report. 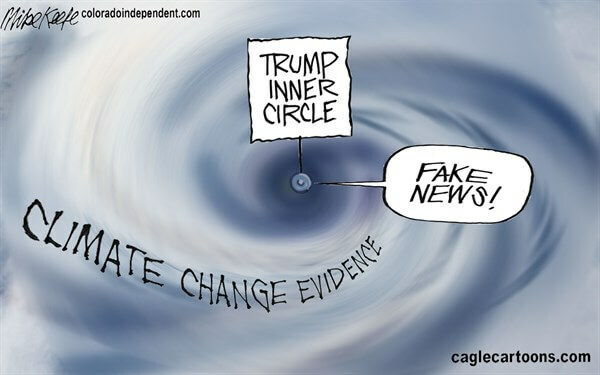 The IPCC’s report echoed what the international body found in its 2013 report, called AR5 — there’s little to no evidence global warming is making hurricanes more extreme or intense.